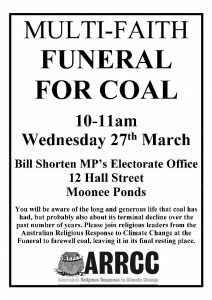 The Australian Religious Response to Climate Change – along with many others – will conduct a multi-faith funeral for coal outside Opposition Leader Bill Shorten’s electoral office on Wednesday, March 27 at 10 am. We’re holding these to pray together, to stand up for our common home and to communicate faith-based concern to influential Labor MP’s who are still saying they would not block Adani’s Carmichael Project. 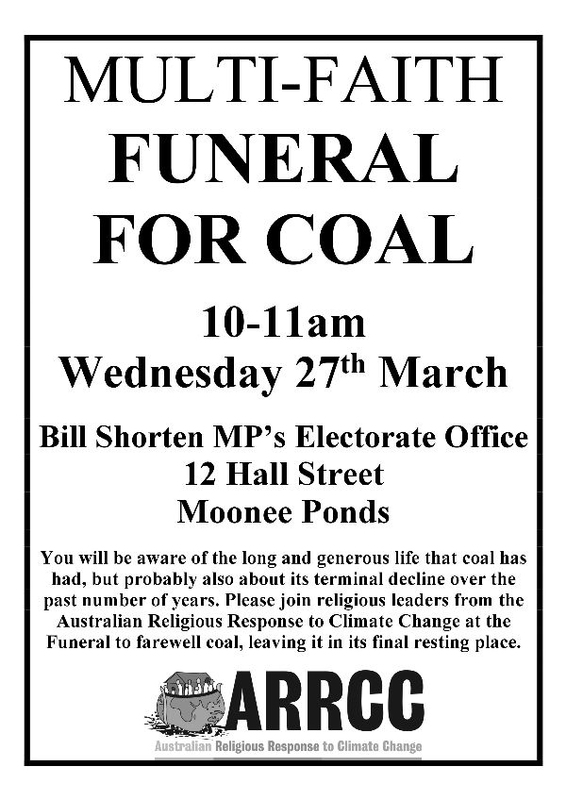 This will be a respectful gathering. Please wear formal clothing and remain friendly and courteous at all times. Thank you.